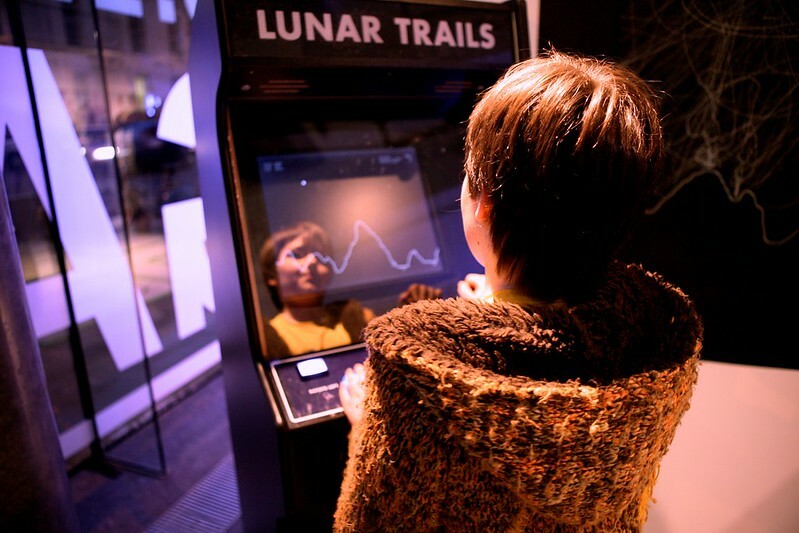 Lunar Trails is an interactive installation, first commissioned by the Dublin Science Gallery for their GAME exhibition, running from November 2012 to the end of January 2013. It features a full size arcade cabinet running the vintage 1979 game Lunar Lander. 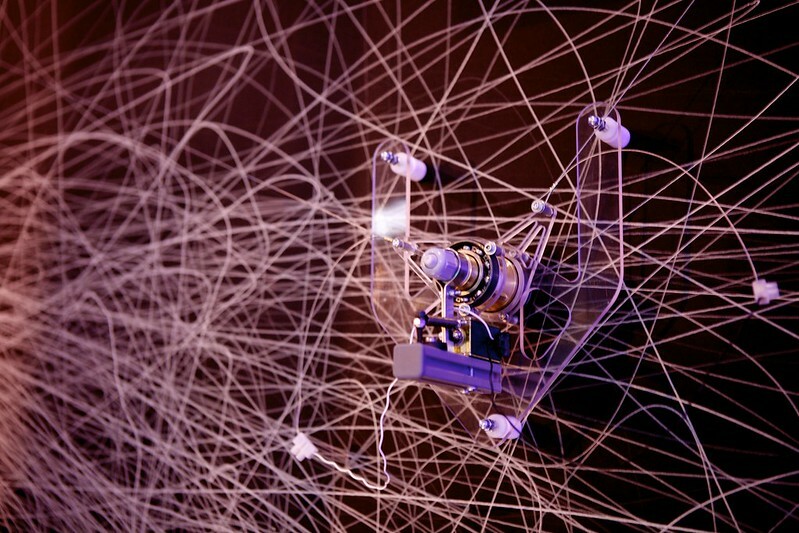 As you play the game, the path that you take is rendered on the wall with a large hanging drawing robot. 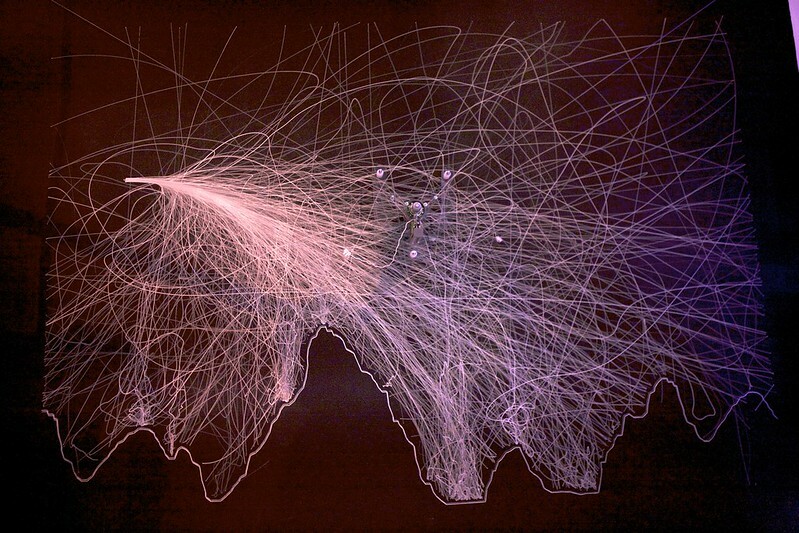 The trails build up to produce artworks that are solely created by the game players, and is a reflection of all their individual journeys to the surface of the moon. In collaboration with mechanical engineer Paul Strotten, designer Val Head, and production manager Becky Stevens. Special thanks to the BuildBrighton hackspace, the team at the gallery, Sandy Noble, Anna Debenham and Kylie Wilson.